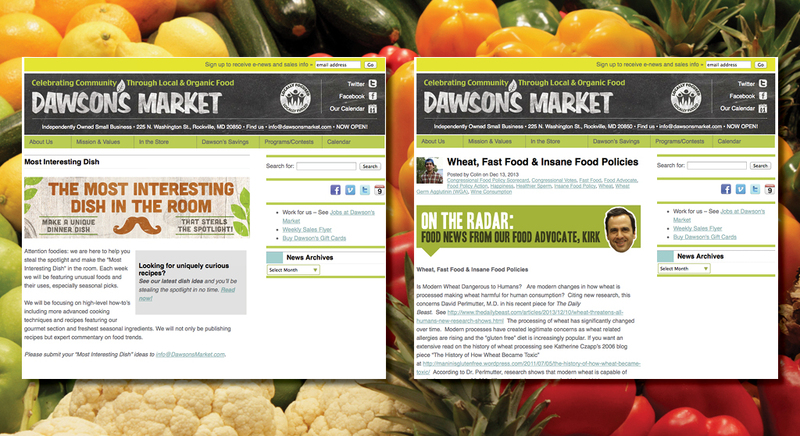 Ellwood Thomspon’s Natural Food Market has been a fixture in Richmond, VA for more than 20 years, so when the company decided to open a second organic and local foods market — Dawson’s Market — in Rockville Town Square, similar success with a similar marketing strategy was expected. After opening in September 2012, the market experienced significant challenges in creating awareness and came to Delucchi Plus for help in creating a coherent messaging and marketing strategy that could reach a different audience and deliver results beyond what they’d experienced with existing TV, radio, event and sponsorship strategies. Our solution identified specific lifestyle groups in the immediate area and focused on creating campaigns that provided information these audiences wanted in the medium in which they most wanted it. 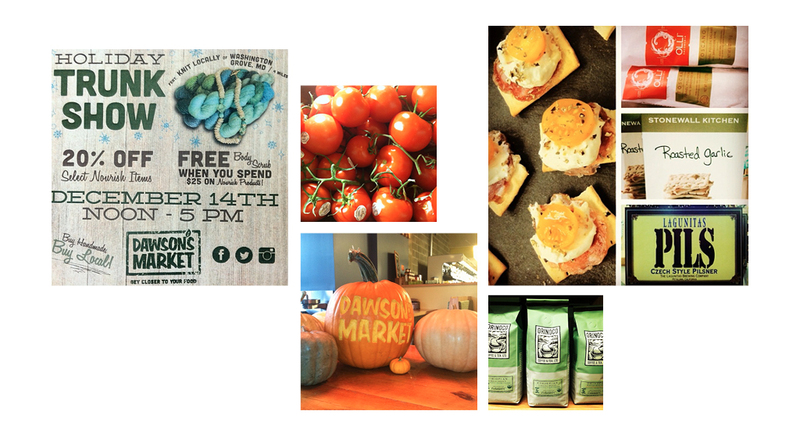 Because of a high volume of organic grocery competition in the area, these campaigns focused on experiential marketing — highlighting the truly incomparable experience of shopping at Dawson’s Market — and included a clear, trackable call to action for driving in-store traffic. 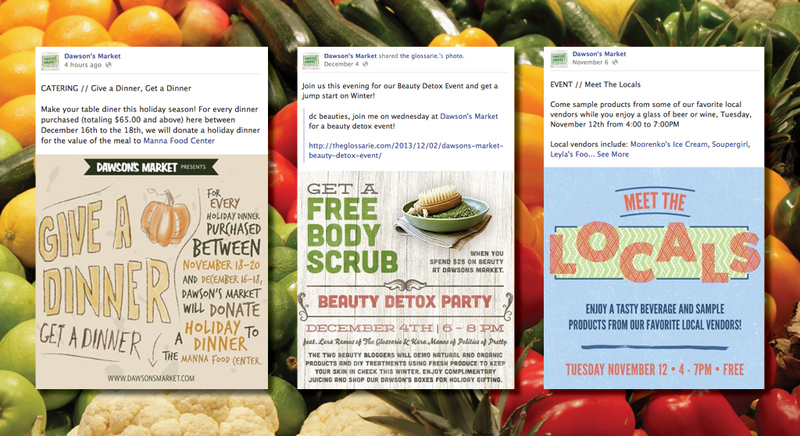 This strategy also included the creation of an online personality for the brand, a shift in media dollars from print to digital, increased online ads through Facebook and the Google Display Network, the use of advanced social media techniques to target specific lifestyle groups, and media outreach to create third-party content.